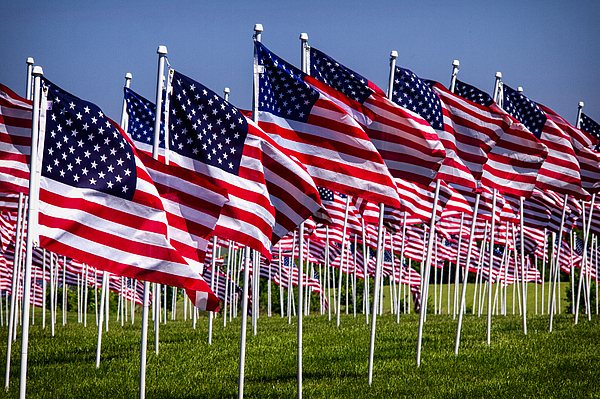 St. Peter’s invites you to consider sponsoring a Flag this Memorial Day, 2019 in Honor of a Hero or Heroes – past or present – who have made a positive impact on your life or on the world. This can be a veteran, military, first responder, medical personnel, teacher, mentor, family member, or friend. Flags are 3 x 5 feet, will be mounted on a ten-foot pole, and displayed on the south front section of historic St. Peter’s Cemetery on North Main Street, Smyrna; across from the George C. Wright Jr. Memorial Park from May 23 to May 30, 2019 (weather permitting). Sponsorship is $50 per flag. Each flag will have a medallion with the name of the Honoree and the Sponsor. A list of Honorees will be published in either the SunTimes Extra or the SunTimes newspaper. If interested in sponsorship, please contact St. Peter’s Office by e-mail: [email protected] or phone 302-653-9691 with any questions. You can also print the sponsorship form, complete it, and send the bottom section with your payment to St. Peter’s Episcopal Church, 22 N. Union Street, Smyrna, DE 19977. $50 sponsorship is tax-deductible to the extent allowed by law. Proceeds will be used to pay maintenance expenses for our historic cemetery that are not covered by our current endowment earnings and to increase our cemetery perpetual care endowment to meet today’s cemetery care expenses and future expectations. Building up our cemetery perpetual care endowment will enable this historic cemetery to become financially self-supporting helping us to continue providing ongoing beauty and respect to all those entrusted into our care; each of whom was a hero in their day to those who knew and loved them.